Heal your belly. Restore your back. Transform your life. heal Your belly & back with maya abdominal massage and Deep tissue massage. Connect more fully with your body and your life with the support of coaching. Your belly is the center of your health, and when it's dysfunctioning, it tells you. It may show up in issues related to menstrual cycle problems, infertility, post -birth problems, or challenges related to perimenopause and menopause. It can also present itself through common back pain and low back ache, as well as digestive issues like IBS and acid reflux. And did you know this?... The culprit of an angry abdomen may be a tipped or prolapsed uterus or tight, under-functioning digestive organs. And the culprit of an angry low back can be the result of tight muscles that lead into the pelvis (the ones that can only be accessed by working through the belly). Unless you address the underlying muscle and organ issues, your relief may only be temporary. So, what's the solution? Maya Abdominal Massage and Deep Tissue Massage! These non-invasive external massage techniques can move things back into place and ease tension, improving your health and well-being in the process. I'M NATALIE GENTRY, A MAYA ABDOMINAL MASSAGE SPECIALIST IN DENVER, COLO. I LEARNED ABOUT THIS ANCIENT TREATMENT AFTER I EXPERIENCED A BURST OVARIAN CYST (TALK ABOUT PAINFUL ... OY VEY!) WHEN I HEARD THIS WORK COULD prevent MY OVARIAN CYSTS FROM RETURNING AND REDUCE MY PMS SYMPTOMS, My immediate thoughts were, "When's the next workshop and where do I sign up???" I've seen amazing transformations in my clients and in myself through Maya Abdominal Massage. I can realign the uterus by treating the affected muscles, ligaments, and tendons inside of your abdomen. I can also soften tight organs that serve the digestive system--areas that traditional massage therapy often doesn't touch deeply, if at all. And, I've seen big improvements through applying Deep Tissue Massage for ALL external and internal muscles related to back mobility to create true healing. Here's what else I've noticed: Maya Abdominal Massage and deep tissue work on interior back muscles releases energy that gets blocked when these systems aren't functioning optimally. That's important! Opening up blocked energy can lead to greater self-empowerment. Ask me how! Let's chat! Schedule a free consultation. I'd love to get to know you, understand your needs, and answer your questions. I believe in the power of healing, and the work I do is an expression of that belief. 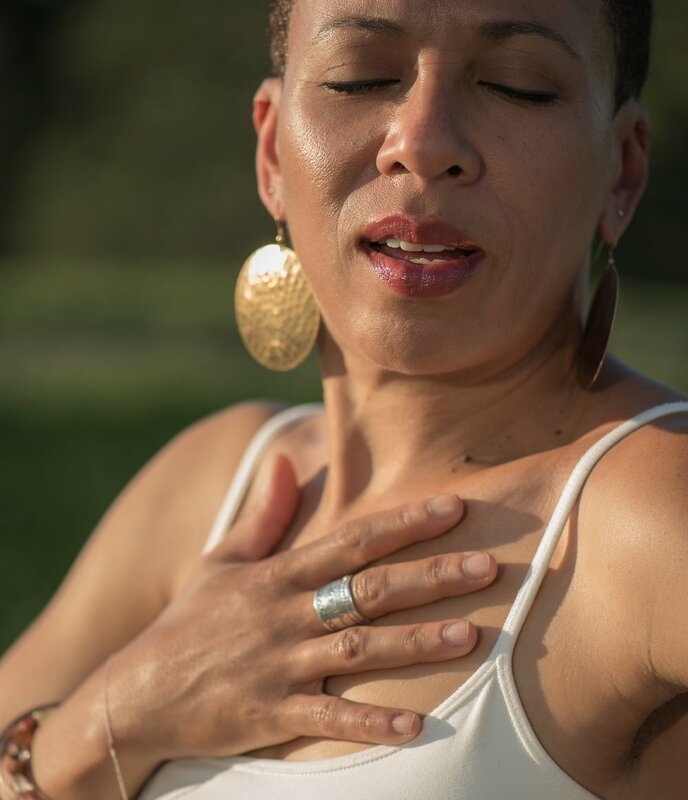 When you come to see me for relief and healing, it's important to me that I address your issues in real time and that you leave feeling that you know more about your body and yourself than you did when you arrived. That way, you can continue the healing process between visits. I'm all about empowerment! Whether you come to my Denver massage office for a Program, for single sessions of Maya abdominal massage, therapeutic deep tissue massage or for Transformational Breath®, my intention is that you leave feeling enlivened and experience positive shifts in how your body feels and in how YOU feel inside of your body. Additionally, I want to give you tools for your tool belt that will help you to be a stronger advocate for your health and well-being. 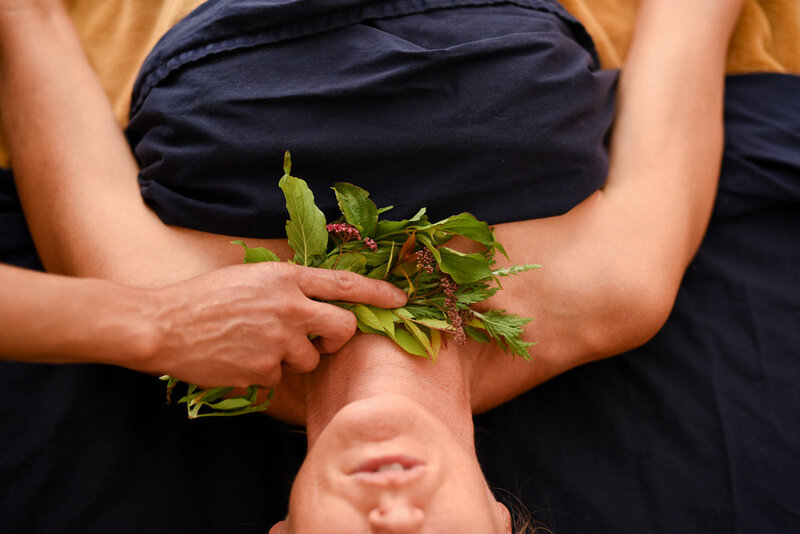 The Wild Woman Self-Care Series includes multiple Maya abdominal massages with plant brushings, a Maya abdominal massage self-care training session, a private Transformational Breath® session, Yoni Steam, monthly check-ins for teaching and support, plus tinctures, castor oil packs and essential oils to be used for the duration of our work together. My Targeted Treatment Programs focus on healing specific areas of your body: The Uterus, Digestion and The Back. By addressing one central complaint, we can work together toward total, focused healing of that issue. The Uterus: Relief from painful or irregular periods, perimenopause, menopause complaints, preparing your body for pregnancy, recovery from childbirth, perimenopause, and menopause. Digestion: Relief IBS, GERD, slow digestion, cramps, constipation, diarrhea and other belly issues. The Back: Relief from low back pain, hip pain, sciatica and other issues related to an achy back. Each Targeted Program includes multiple massages, tinctures, castor oil packs and essential oils. Conscious Dance Lab is a dance class that’s inspired by a number of dance forms that are based on free-movement. Each class begins with an invitation in order to set the focus for each class (creating the container). Throughout the class, you will be invited to notice how you’re moving or ways to deepen your movement. Truly delicious! The beauty of Conscious Dance Lab is that anyone, regardless of skill or experience, can enjoy it! The intention isn’t to “dance well” or to dance like everyone else. Conscious Dance Lab is about getting comfortable with dancing as fully and honestly as you feel inspired to dance in that moment. And the best part is that you’re dancing with a supportive, playful group of people who are having similar experiences. How great is that? Dance YOUR dance! Yesterday I had a massage appointment with Natalie Gentry, I went in thinking it would be like any other massage I've had. It was beyond my expectations. As most of you know, I've been going through a lot. By the end of the massage the flood gates opened, I have no clue where it all came from but it was needed. I have been holding onto so much (so many emotions and thoughts and pain), and last night was able to release some of it. Thank you Natalie for allowing me to feel safe, to feel comfortable enough to release that. It was sooooo powerful! That being said, if anyone is looking for an excellent massage therapist in the Denver area, please reach out to Natalie. "Wow, Natalie--It was so amazing and powerful to be a part of your class earlier tonight! I feel like I saw you in your true form, and it's absolutely beautiful. Thank you for facilitating such an amazing experience! I'll be back :-) I left wondering if you could or would share your playlist. I'd love to have some of those songs in my personal collection. What a beautiful evening. I left feeling high on myself and the connections with everyone there-such beautiful work. KEEP IT UP". Thank You, Natalie Gentry, for the most amazing session with you ... massage - YES! Ah, but so much more - your intuitive nature and safe space setting, to name just a couple! You are gifted at what you do, and a gift to all your clients! My massage was fabulous in terms of the massages as well as the "therapy" session. I literally had a break through for which I was very overdue and felt very relieved afterwards!! So thank you so very much!! Hey lady! I just wanted to say THANK YOU!!! I feel so much better, it's hard to put in words. I feel like a huge cloud is lifted and my mojo is coming back. Thank you so very much! I received a Transformational Breathing session and a Mayan massage today and it was beyond wonderful. Natalie was comfortable, knowledgeable and completely therapeutic in both her words and technique. Cannot recommend her enough! I cannot describe how fantastic Natalie is in a short review but I will try. I've had health issues for over two years that left numerous doctors stumped. A month under Natalie's care and I am a whole new person and I feel healthy again finally!! She has an amazing follow up too and checks in and truly cares. She gives you a path to healing and health and people should realize you have to do your part too, but if you do the rewards will be amazing. I am blessed to have found her. She is a gifted woman whom I am very grateful to have in my life and as a part of my healing. Thank you so much for all the care and taking out time to see me. You can’t imagine how much hope you’ve given me. In fact, today has been amazing. I started my period yesterday and for the 1st time in over 12 years I didn’t have to take any pain meds. Yes....my period has been almost pain free so far...I didn’t want to mention it yesterday because I didn’t want to jinx it but oh my! I have just little cramps here and there but not enough to take pain meds. I wasn’t expecting to see results so quickly but I am glad I did. This has made my flight back to (my home) much better because I was dreading it. Still in transit but I will definitely keep you posted. Thank you so much and I’m really grateful. Do you ever lie to your doctor or when you are filling out health care forms? How often do drink alcohol? 1x/month. Have you ever used marijuana? Never! How often do you exercise? Every day! Vegetables? A million servings a day! I woke up thinking about how grateful I am to be in Natalie Gentry's care! It seems to me that in filling out her forms for body-mind-spirit work, this is the first time I have fully disclosed my lifestyle habits! Natalie has a way of holding me in such gentle grace and kindness while helping me to release thoughts, feelings, beliefs, behaviors that aren't serving me and that are creating tension. Natalie Gentry’s skill and expertise in the area of Maya Abdominal Massage and Women’s Health is outstanding, and has helped me make amazing progress with my abdominal post-op recovery. I am so glad I was referred to her and would highly recommend to her. Natalie’s work with Maya massage has been life changing for me. I have suffered with excessively painful periods throughout my entire adult life, a symptom of a tipped uterus that has been with me for years. In one session, we moved the uterus and utterly changed my entire relationship with my body. With that one session, my posture changed, my body moved differently, and I have begun to feel so much more at home in my body. My hormones have settled down and I feel much better overall. Natalie is very professional, talented, and very knowledgable about women’s issues. So wheter you are trying to increase your fertility, or restore a sense of balance and health to your body, I would definitely recommend sessions with her! Doing breath work with Natalie Gentry several weeks ago while my grandmother was on hospice, a complex web of feelings came up. I was surprised by the level of grief I was experiencing while feeling guilty about the negative emotions.